Green drinks are super hydrating, alkalizing, amazing for the skin, great for the digestion and detoxifying for the body. It’s a great way to get a good amount of dense minerals and vitamins in and it’s really refreshing! Various green drinks I’ve made in the past. Make sure to switch it up and keep it interesting! 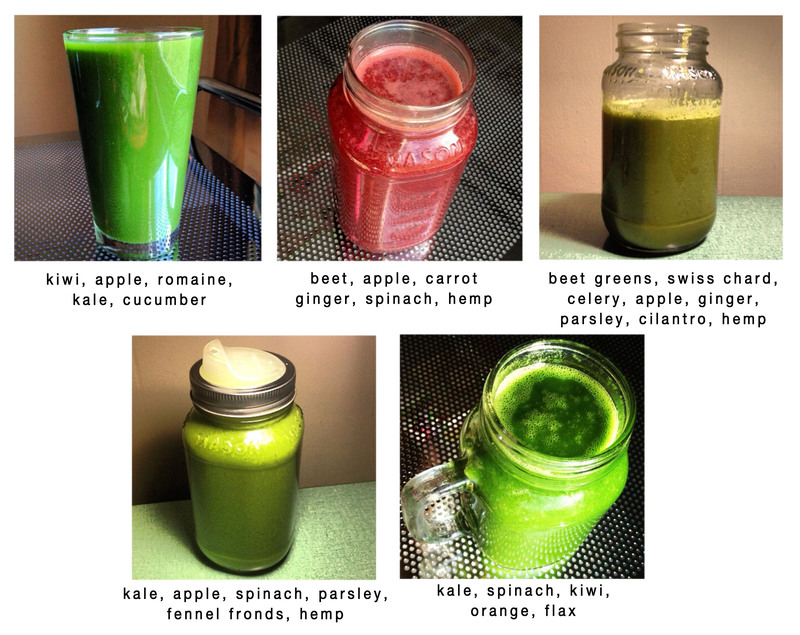 NOTE: I’ve more so recently omitted adding flax and hemp seeds to my green drinks and just use the fruit and veggies.